How to watch Nos plus belles vacances (2012) on Netflix Canada! Sorry, Nos plus belles vacances is not available on Canadian Netflix, but you can unlock it right now in Canada and start watching! With a few simple steps you can change your Netflix region to a country like France and start watching French Netflix, which includes Nos plus belles vacances. We'll keep checking Netflix Canada for Nos plus belles vacances, and this page will be updated with any changes. 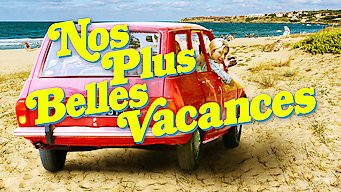 Nos plus belles vacances is not available in Canada BUT it can be unlocked and viewed! A city couple looking to patch up their marriage spend the scorching summer of 1976 with their mother and two sons in rural Brittany. Old wounds heal, new bonds grow, and childhood becomes a sweet memory. Summer in the sleepy village of Le Rocher Abraham. There is a way to watch Nos plus belles vacances in Canada, even though it isn't currently available on Netflix locally. What you need is a system that lets you change your Netflix country. With a few simple steps you can be watching Nos plus belles vacances and thousands of other titles! Watch "Nos plus belles vacances"